Former world-class cricketer Roshan Mahanama, at the request of the Army, sponsored the establishment of a new school in Weherathenna village in Vavuniya district. 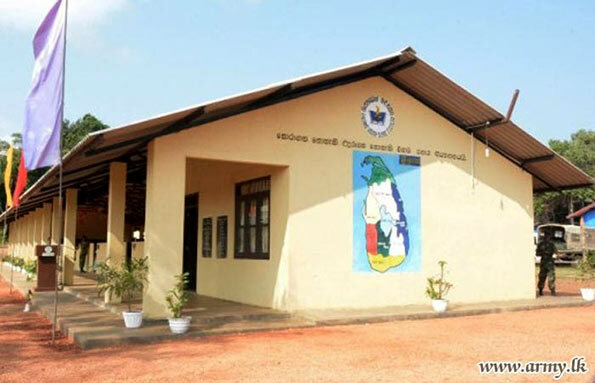 The primary school named ‘Roshan Mahanama Primary School’ has been built at a cost of about Rs. 3 million and the engineering and labour assistance was provided by the 26 Sri Lanka Sinha Regiment (SLSR) troops of the 62 Division commanded by Major General B. H. M. A. Wijesinghe. The eight-month long project consists of 5 classrooms and fulfills a long-felt need of Weherathenna villagers, who did not have a primary school nearby. 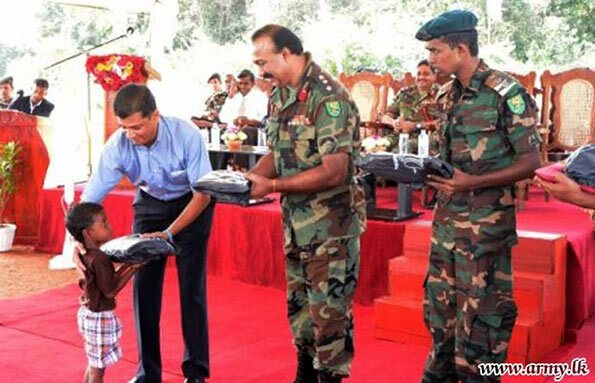 The opening ceremony of the school took place last week, with the participation of Roshan Mahanama, Major General Ruwan Kulatunga, Major General B.H.M.A Wijesinghe, Colonel Prasanna Gunarathne, Brigade Commander, and Director of Zonal Education. The new school enrolled 44 students on the day of opening and facilitates the conduct of classes from grade 1 – 5. During the ceremony, each student received a gift parcel including School bags, two sets of uniforms, shoes and other accessories to the value of Rs. 5,000/=. In addition sports items to the school as well as gift parcels to the teachers were awarded by Roshan Mahanama and other guests.